Nissan Titan XD - 1/2 Ton, 3/4 Ton, or Identity Crisis? Chassis Cab (Cab and Chassis) vs Pickup Truck | What's the Difference? Ever wondered about the differences between a chassis cab and a pickup? Why are chassis cabs typically derated? Aren't they just a pickup without a bed? We dive deep into the true differences (and there are many) between a commercial chassis cab and a standard pickup truck. How does the fuel sipping EcoDiesel stack up against the 5.0L Cummins powered Nissan Titan XD? Could the midsize GM twins, powered by the company's 4 cylinder Duramax diesel, draw potential truck buyers from Ram's EcoDiesel powered Ram 1500? Historical horsepower and torque figures for General Motors, Ford, and Dodge/Ram diesel pickups from the 1980s through the current model year. Side-by-side comparisons of the Aisin AS69RC, featured in the H.O. Cummins equipped Ram 3500, and Chrysler's standard 68RFE automatic transmission. 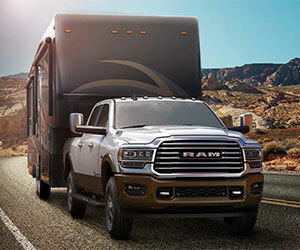 Dodge first offered a Cummins in there pickups for the 1989 model year - fast forward to modern times, the engine and it's vessel have grown immensely. See for yourself in this side-by-side comparison featuring the original 5.9L Cummins 12v. From a 420 cubic inch, naturally aspirated IDI to the modern 6.7L Power Stroke. Take a gander at where Ford started and where they've landed in the diesel pickup segment. General Motors entered the diesel pickup category with its fuel sipping 6.2L Detroit engine. Fast forward to the 2000s and the company's Duramax diesel has proven a stiff competitor in the market.